Ndulge, are makers of handmade natural skincare remedies derived from fusing old traditional remedies with today’s modern alchemy for natural, luxurious and environmentally kind skincare treatments. Working directly with farmers and sourcing only fair-trade naturally-active ingredients from within the UK and around the world, their ethos enables farmers both local and nationally to benefit in some way. Jacalyn Belgrave, founder of Ndulge approached the East London Business Place (ELBP) through its “Business Lab” programme after it was recommended to her by a colleague. Jacalyn was looking to grow the business and increase sales. She believed in order to do this she needed to access funding to allow her to develop her marketing, brand and website. Jacalyn met with a business advisor and was put through a 1-2-1 mentoring and coaching programme. In the first instance they worked with Ndulge to better understand the brand and its values. They looked at how best to position these values to its customers without a large financial investment in marketing. The second phase looked at identifying the right target audience and focused on the businesses cash flow and forecasting to target customers more effectively. Jacalyn attended a series of workshops and events which helped her achieve this and also gave her the opportunity to network with other businesses and gain confidence when talking about her products and brand. As a result, Jacalyn now sets monthly sales targets and strives to reach them. She has been able to review and develop a more realistic pricing strategy and has developed the website to drive more online sales and encourage re-orders. The business is now in a position where it is more focused on selling to the right target audience at the right price and has seen significant growth. Jacalyn is now continuing to work with ELBP through its “Building Legacies” programme where she is working to grow her business further. “The barriers and obstacles that I thought were the immediate barriers around accessing funding were in fact not the case. It was more about understanding my brand and being assertive in letting potential customers understand the benefits of the brand. Through the business lab we have been able to access relevant events which has helped me with cash flow and forecasting. 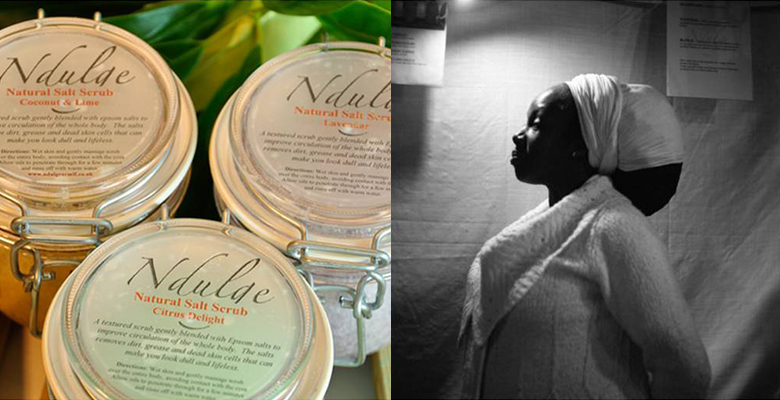 Jacalyn Belgrave – Founder of Ndulge.